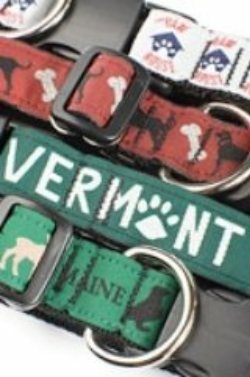 Create a personalized collar or leash with your logo! If you are interested in producing a personalized dog collar or leash, we are able to make that happen. In our custom logo dog collar program, we will assist you through the design and ordering process, to final production. We are also happy to send out samples of our custom products. Personal attention to your needs. Multiple payment options including MC and VISA. We are happy to mail or email you a wholesale catalog and order form. We offer an unconditional guarantee on dog collars and leashes. Collars and leashes may be returned directly to us for repair or replacement or wholesalers may replace item and return it to us for credit. No minimum order size. Wholesale customers may order in any quantity desired. Wholesale customers may pay with credit cards, arrange for terms, or pay by check. You may submit orders by printing our wholesale order form and faxing or emailing it to us.